Many times, it is not necessary to see an orthodontist to have an orthodontic procedure performed. At Lakeview Dental we can provide patients of all ages with professional orthodontic services as well as general and cosmetic dentistry all under one roof. Whether your child is in need of braces, or you are interested in Invisalign® for straightening your own teeth, we have an affordable and convenient solution. Let our caring and professional staff help you to achieve the smile you have always dreamed of. Whether you are having problems with crooked teeth, overcrowding of teeth, or gaps between teeth, our orthodontic professionals can provide you with treatment options such as braces and Invisalign®. 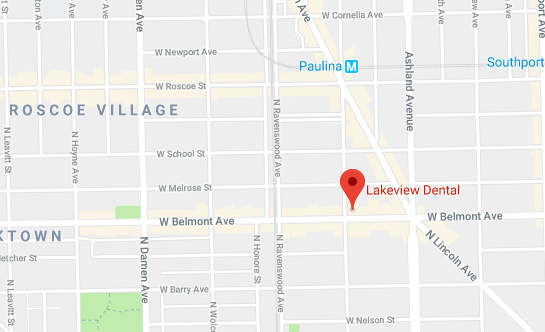 When you choose Lakeview Dental in the Lake View and Roscoe Village area, you can enjoy the convenience of having routine dentistry as well as orthodontic treatment performed in the comfort of our state-of-the-art facility.